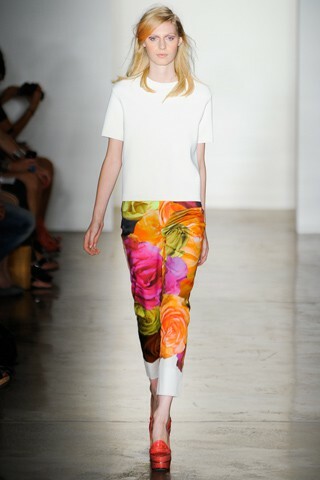 One of my favorite trends this spring is the fancy pant. Being a chubby little preggo lady is obviously not the best look for them, so I haven't acquired any year, but I sure do love watching my sister collect them. 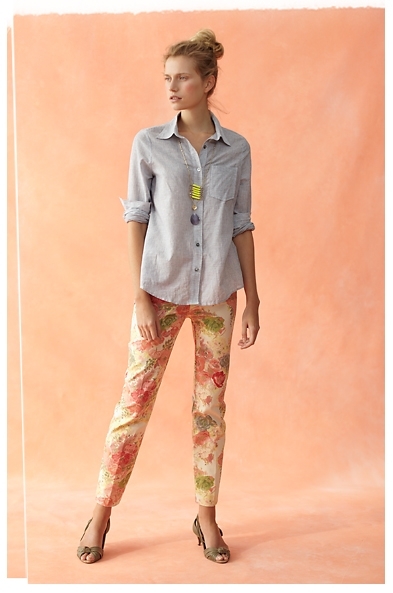 I love the floral jeans by Citizens of Humanity, and some of the other designs seen at Anthropology. If you search hard enough (and hold fast to a certain level of taste) you can find some cute ones for bearable prices at Forever21. 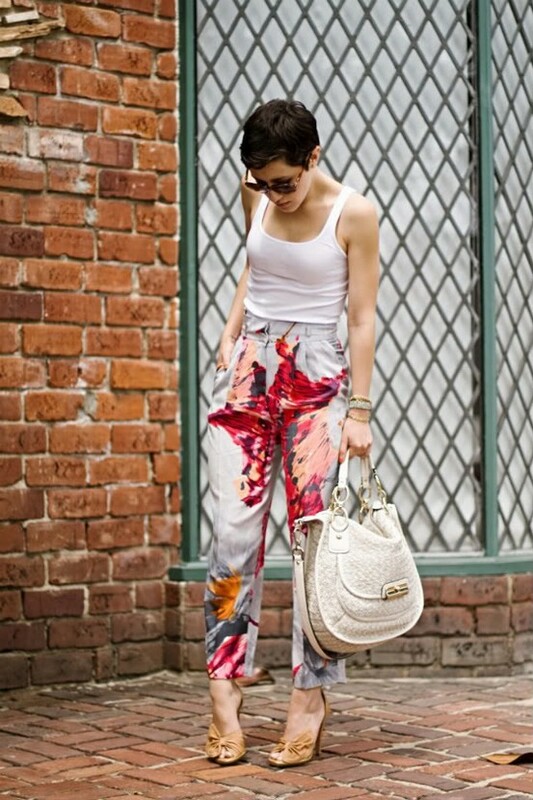 Printed pants are definitely on my list for the spring. I love the idea of having a bottom that is so fun you can keep the top of your outfit simple! 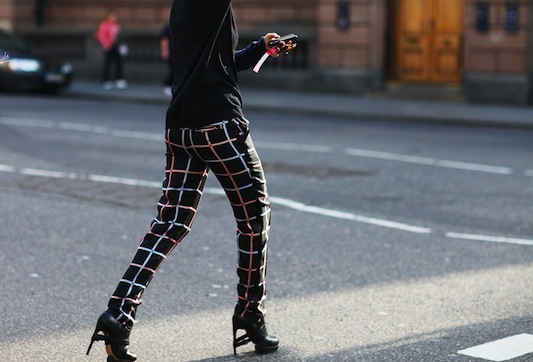 Lovin' the fancy pants look! I wish I had an endless clothing fund.